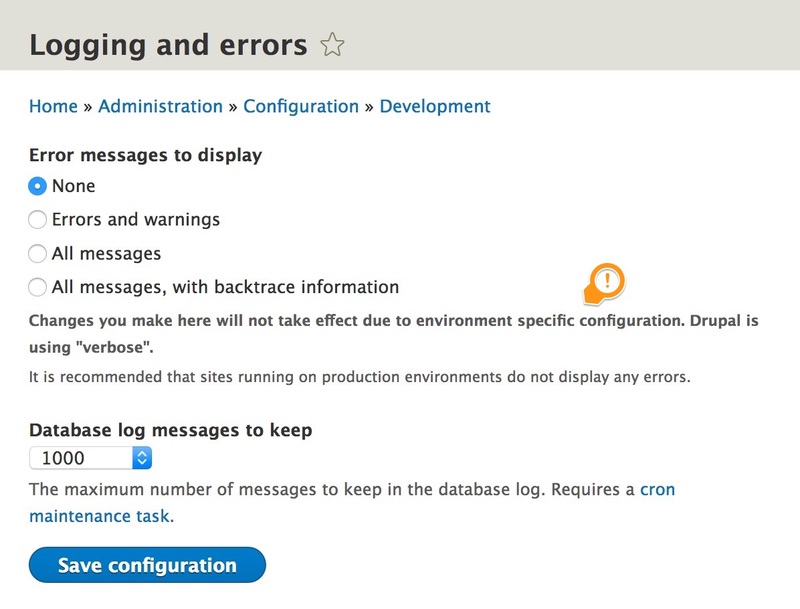 Drupal allows you to override configuration by setting variables in settings.php. This allows you to vary configuration by which environment your site are served. In Drupal 7, when overrides are set, the overridden value is immediately visible in administration UI. Though the true value is transparent, when a user attempts to change configuration, the changes appear to be ignored. The changes are saved and stored. But Drupal exposes the overridden value when a configuration form is (re)loaded. 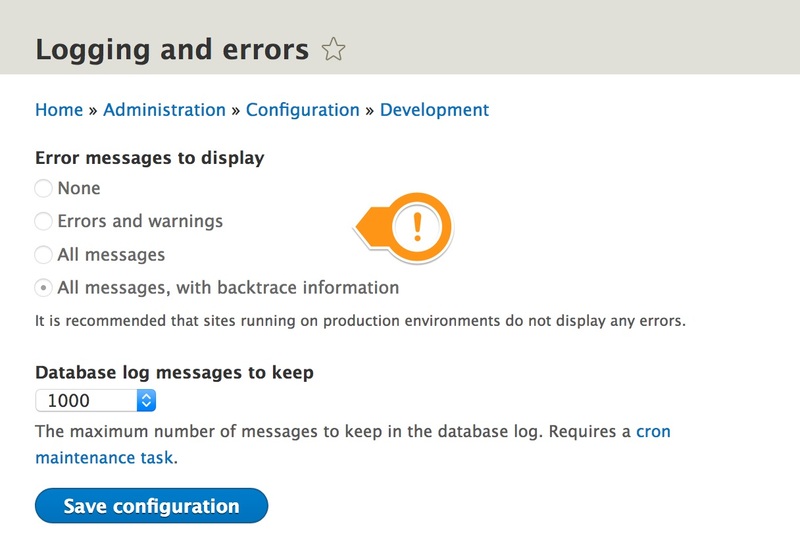 With Drupal 8, the behaviour of overridden configuration has reversed. You are always presented with active configuration, usually set by site builders. When configuration is accessed by code, overrides are applied on top of active configuration seamlessly. This setup is great if you want to deploy the active configuration to other environments. But it can be confusing on sites with overrides, since its not immediately obvious what Drupal is using. An example of this confusion is: is your configuration forms show PHP error messages are switched-on, but no messages are visible. Or, perhaps you are overriding Swiftmailer with environment specific email servers. But emails aren't going to the servers displayed on the form. A Drupal core issue exists to address these concerns. However this post aims to introduce a stopgap. In the form of a contrib module, of course. Introducing Configuration Override Inspector (COI). This module makes configuration-overrides completely transparent to site builders. It provides a few ways overridden values can be exposed to site builders. COI requires Drupal 8.5 and above, thanks to improvements in Drupal core API. Have another strategy for handling config overrides? Let me know in the comments!